At the briefest of glance the bangle depicts a beckoning hand of a Homo sapien but at closer inspection the hand is curiously long and slender, frail yet strong and with a subtle embodiment of complexity and inferiority. 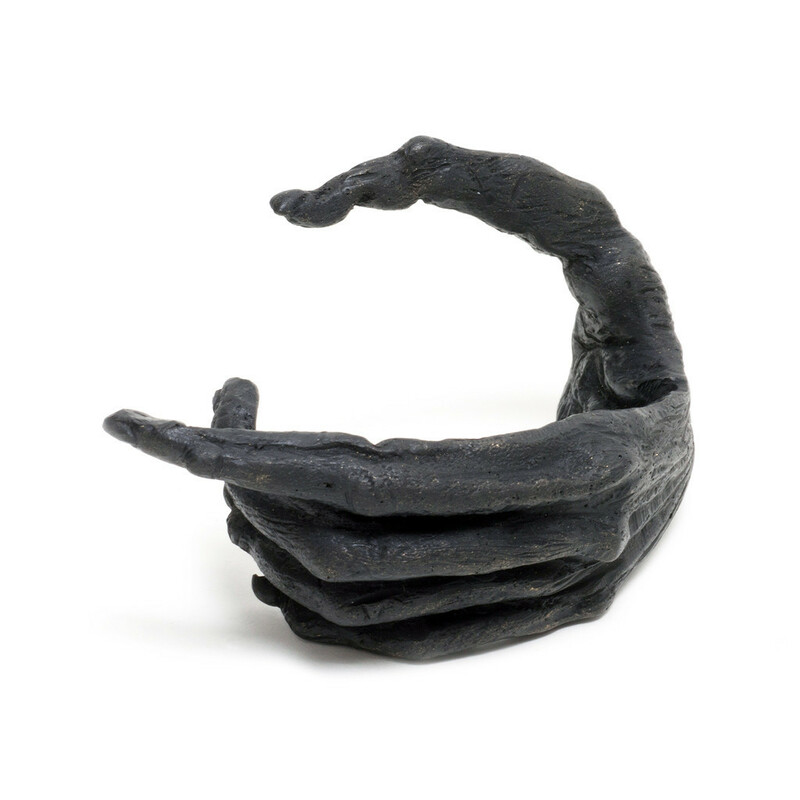 The Gibbon Hand bangle is part of renowned jewelry artist and sculpture Lisa Roet's Humanzee collection, a powerful investigative art project that explores the intense connection between humans and our closest animal relatives. With the ape as her prevailing subject matter, Roet provides a unique and in depth examination of humans' supposed superiority over these magnificent primates whilst delving into our angst and internally conflicted role in the use of apes for scientific and entertainment purposes and the embedded uneasiness with our ancestry past. Humanzee is not in any sense of a political or societal statement but to emphasise how harmoniously linked humans and primates are biologically, naturally and culturally. The Gibbon hand bangle wraps itself around the arm of a human wearer as if playfully hanging from a branch in their natural environment. Skin on skin and hand on arm, the human and primate begins to merge as one, symbolising the close similarities between the two yet simultaneously indicating the unequal balance between humans and our closest simian relatives that will inevitably remain.